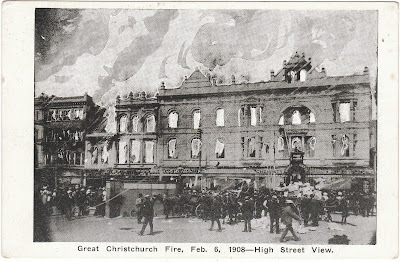 The following five postcards printed by Smith and Anthony are not credited to any photographer, however the Lichfield Street and Cashel Street photographs appeared in the Otago Witness newspaper of 12 February 1908 where the photographers were shown as Webb and Bunz. The High Street photograph attempts to illustrate the White Hart Hotel in flames; following the fire the facade was retained and the hotel rebuild behind. 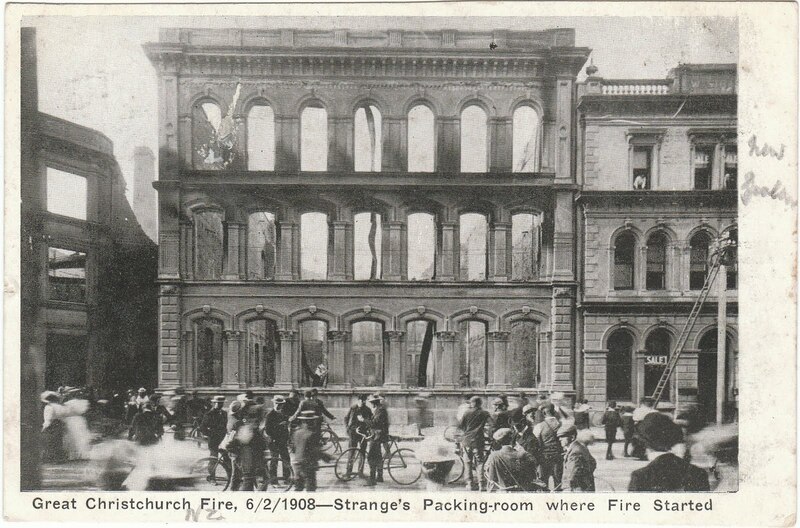 Great Christchurch Fire, 6 February 1908 - Strange's Packing-room where fire started. 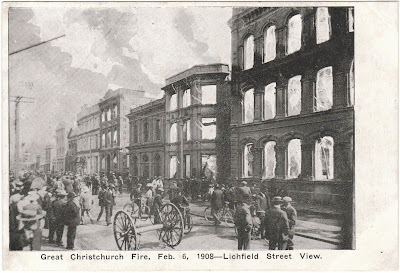 Great Christchurch Fire, 6 February 1908 - Lichfield Street View. 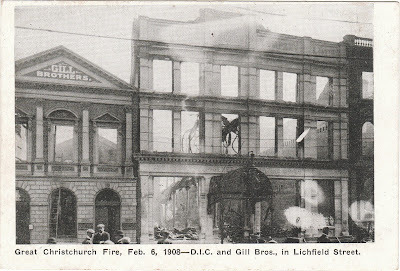 Great Christchurch Fire, 6 February 1908 - D.I.C and Gill Bros., in Lichfield Street. 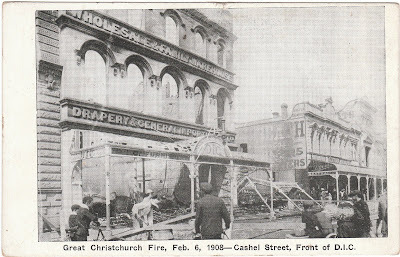 Great Christchurch Fire, 6 February 1908 - Cashel Street, Front of D.I.C. 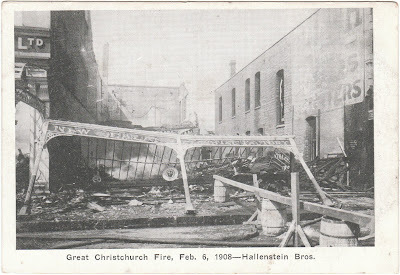 Great Christchurch Fire, 6 February 1908 - High Street View. Buildings in High Street completely gutted by the fire. 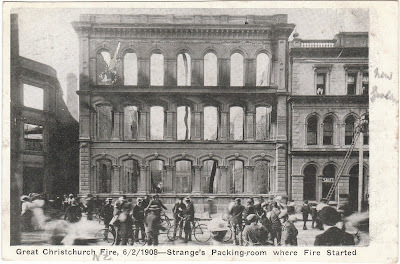 The building of Strange and Co., on the left was the only one saved.